Designed in 1970 by Danish Sculptor Aage Petersen, The 352 is a sleek and sophisticated table lamp, with height adjustable base which gives an overall height of 62 to 88cm. The brass and black combination creates a sense of opulence and makes this an easily placed table lamp, in both contemporary and traditional interiors. 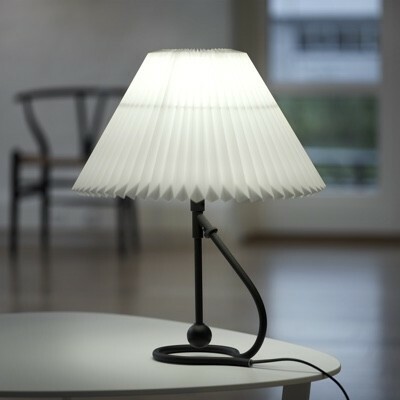 The Le Klint trademark, a hand-folded shade sits elegantly on top of the base, emitting a soft light. Floor lamp version is also available.